The 01 condominium residences face southwest over the Gulf toward Wiggins Pass. 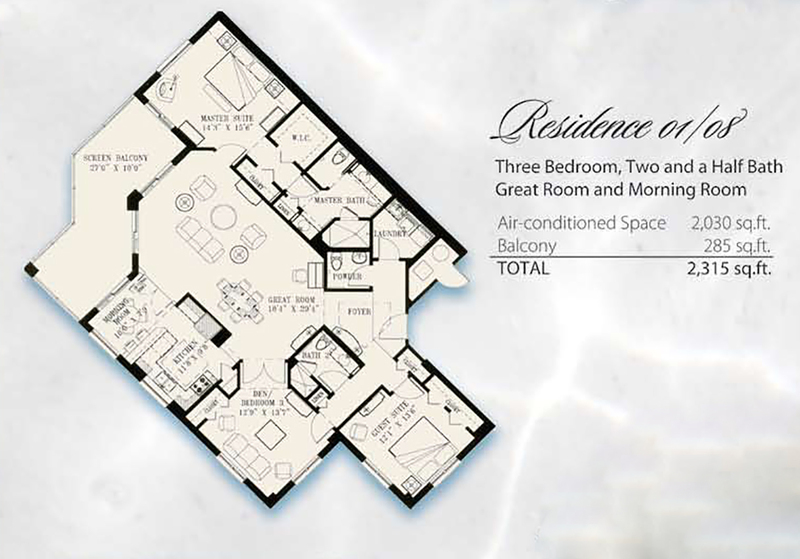 The 08 condominiums are simply the reverse floor layout and face northwest over the Gulf and Barefoot Beach. Feature a central great room, a morning room or office nook off the kitchen, and views of the Gulf, bay and preserves from the screened balcony, master suite and guest suite. 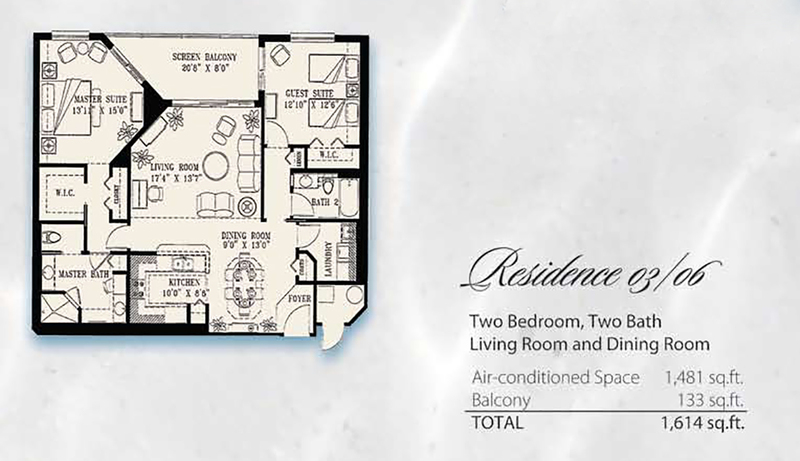 Master suite includes a walk-in closet and a large en-suite bathroom. Feature open kitchen, dining room, and living room area, and a screened balcony facing west onto the Gulf, bay and preserves with access from the living room, master suite and guest suite. 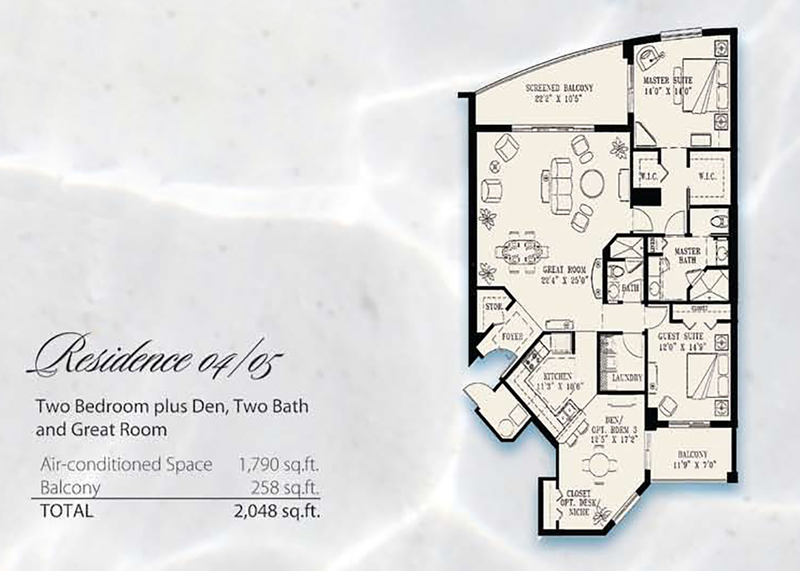 Spacious Master bathroom has separate vanities, walk-in shower, private water closet and linen closet. Features a great room to the west with Gulf, bay and preserve views from the screened balcony and master suite. A second east-facing balcony overlooks Arbor Lake and the Arbor Trace campus. 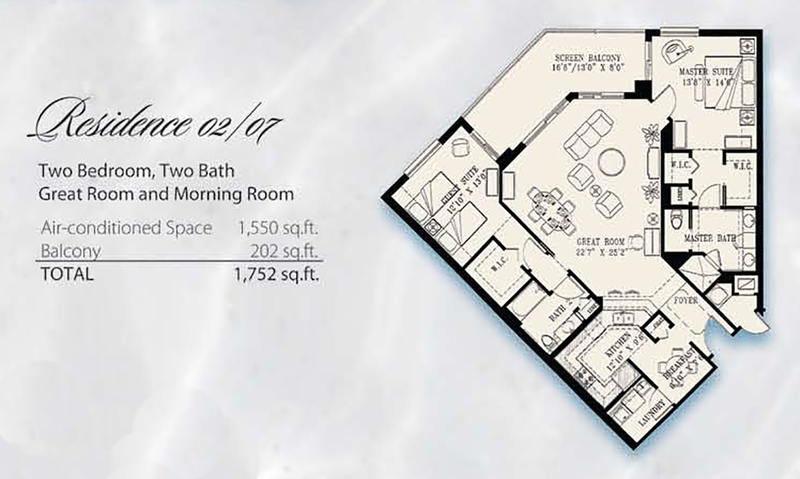 Extra living space in the den off the east-facing kitchen makes a great morning room or office.